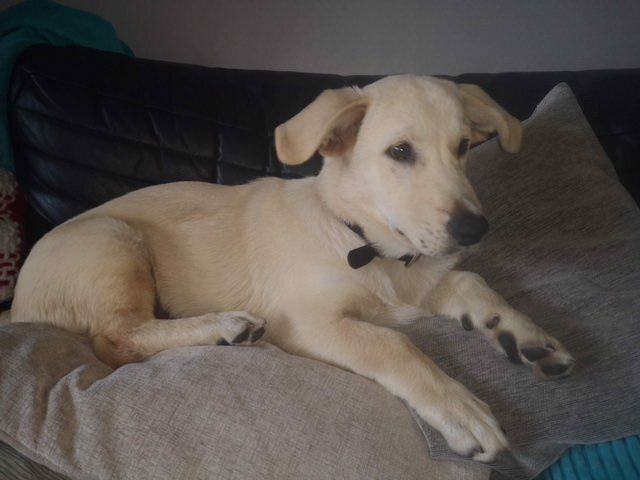 Charley is a 6 month old male Labrador Cross. Cheeky Charley!! So let’s deal with the pluses first. Charley is a gorgeous short legged Labrador type cross (think labrador but in bungalow form! 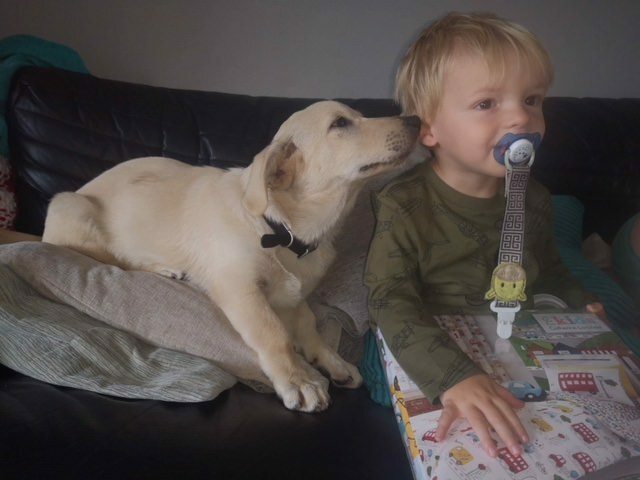 ), he’s around six months old and he is amazing with children, having been in foster with them for a few weeks now and showing them nothing but love. 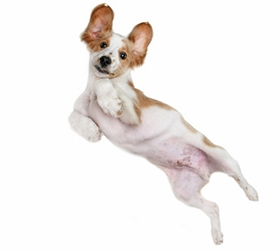 The downside is that with other dogs Charley can be a bit of a nightmare! He is extremely bossy for a little pup and he has tried from day one to exert his power in the pack with the very submissive Lurcher he is currently sharing his home with. 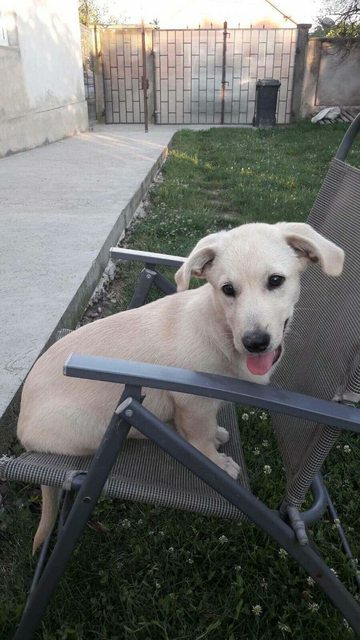 Charley may be better once he has been castrated by the rescue, but it is definitely something that potential adopters will need to bear in mind if they have another dog. We personally believe Charley would be better as an only dog, thereby minimizing any potential problems and likelihood of being sent back to us! Charley is full of character and his gentle nature with children is definitely a huge plus so if you think he may be the one for you please fill in an application form.